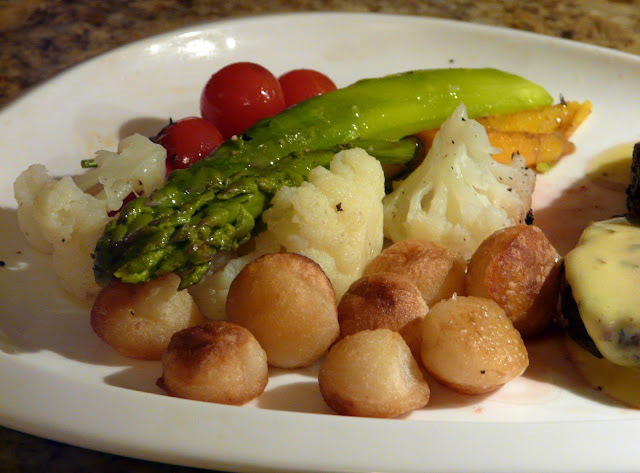 I haven't cooked anything lately that I enjoyed more than this dinner. 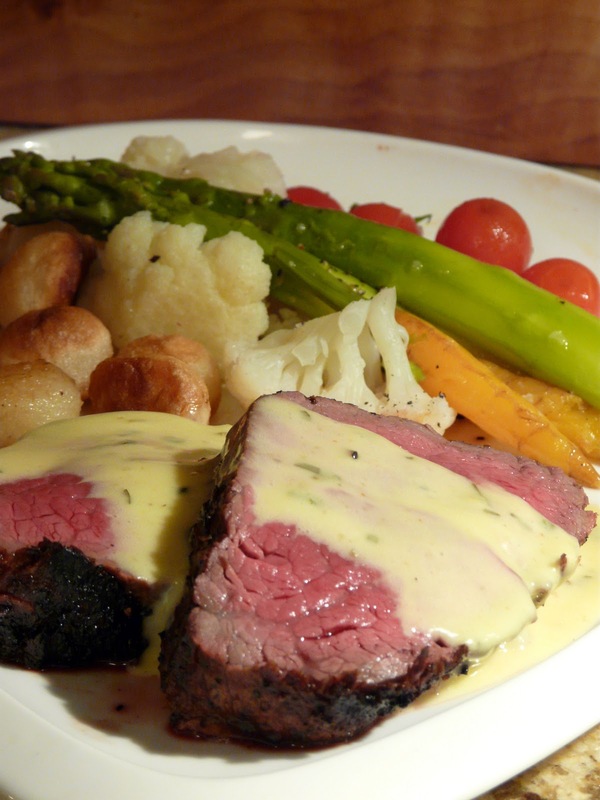 The beef was AAA Alberta beef (tenderloin) and it was melt in the mouth tender. 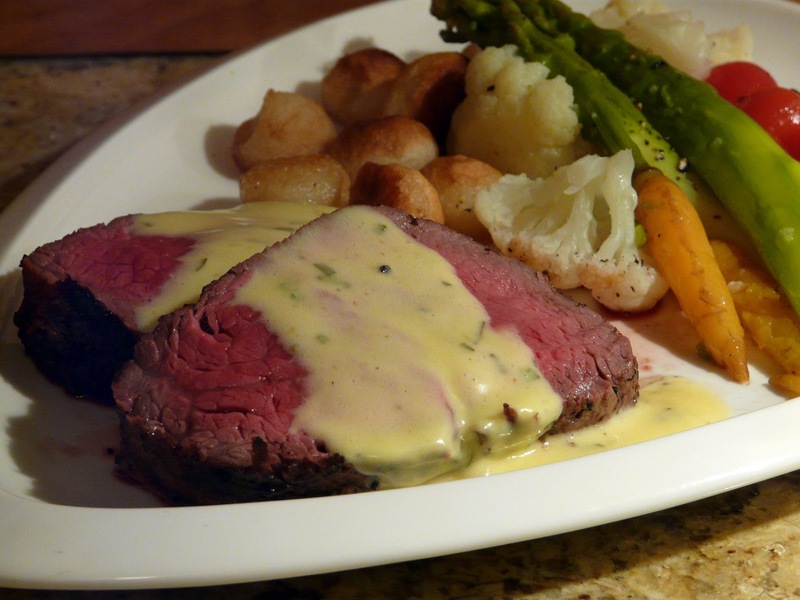 I decided to prepare it Chateaubriand style with homemade Bearnaise Sauce. Parisienne Potatoes, Cauliflower, Asparagus, tiny carrots (Moe's plate only) and sauteed cherry tomatoes. to 1 to 2 tablespoons. A magnificent looking plate of food and the beef is perfect. Would you consider adopting a 65 year old man. Hello there. Oh my gosh, that looks so good, I can't stand it! Do you post the recipe for that? Thank you. Anonymous, No real recipe for the beef. Just rubbed with fresh garlic, salt and lots of fresh ground black pepper. And grilled just until the internal temperature was about 112 to 115°F. 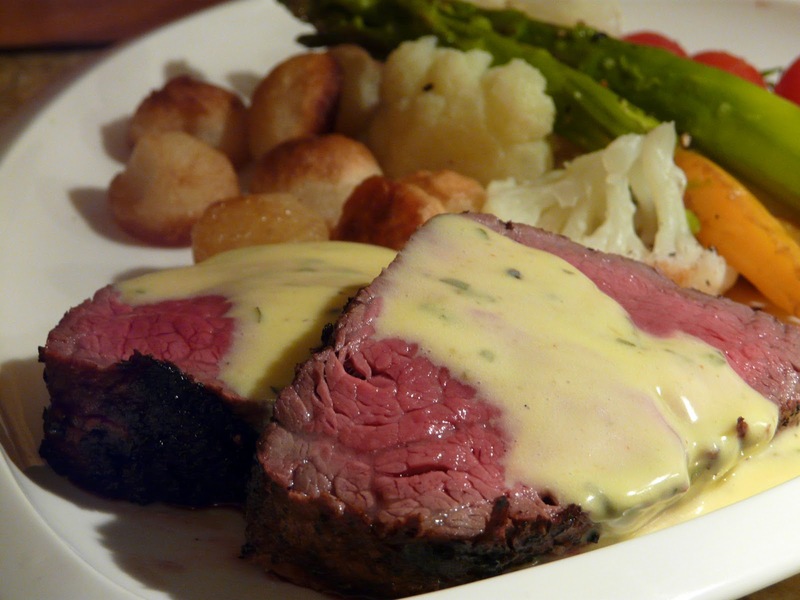 Left to rest while the vegetables cooked and I finished off the Bearnaise Sauce. I edited the post and added the recipe for the Sauce.